Cupping is a form of alternative therapy in which small glass cups are placed on the skin to create suction. It’s a treatment that releases stagnation, pain, and discomfort from the energy meridians ( pathways ) of the body as well as softening tight muscles and joints. There is a saying in Chinese medicine: ‘Where there is a flow of energy there is health, and where there is stagnation there is disease.’ The feeling of wellbeing, the looseness of the body and higher levels of energy experienced after having cupping therapy makes it a favoured healing method to treat and prevent. Although it is usually attributed to the Chinese culture, and in fact called ‘Chinese Cupping Therapy’ the specific origins of cupping actually unknown. The practice of cupping has been historically recorded in many places; ie: ancient Egypt, Greece, by Native Americans, and throughout parts of Europe. In originally cupping the glass cups are heated using a flame, and immediately placed onto the body. The heat inside the cup cools, causing a vacuum to form, which draws the skin and blood vessels up into the cup. We can think of it a little like a the reverse of massage…where instead of pushing and manipulating the skin inwards to relieve tensions and increase the circulation to achieve beneficial effects, we draw the skin upwards. The modern way of carrying out cupping is to use a small vacuum pump which withdraws the air from the cup, and achieves the same result as the flame heated cupping. At Forever Young Massage Centre we practice both methods, and will be more than happy to advise you about choosing which form to use. Because blood is drawn up into the area of cup during cupping, it leaves behind a distinctive circular mark similar to a bruise, which is not painful, and which always fades in a several days. It has many, many uses, but is widely used and recommended for the treatment of pain, gastro-intestinal disorders, lung diseases (especially chronic cough and asthma), and where there is paralysis. It is also extensively used in the treatment of sports injuries…because it releases the pressure and accumulation of toxins and irritation around the area of injury, it removes unwanted harmful components in the blood such as cholesterol, uric acid and calcium deposits, and it allows fresh blood, nutrients and oxygen to penetrate the affected area and break the cycle of pain, restoring the body to health. practice which some celebrities follow? 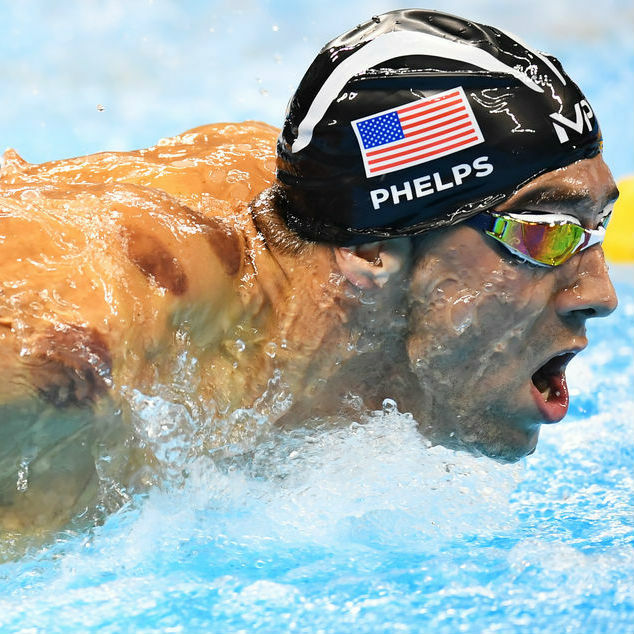 …has used cupping regularly as part of his fitness, training and health regime associated with his training for, and participation in the Olympic Games. and 1 Bronze Olympic Medal. Olympic Gold Medal winners don’t take risks with their health and fitness.